It is a great pleasure and honour for me to contribute this article to the volume published on the occasion of the 60th birthday of Prof. V.G. Maz’ya. 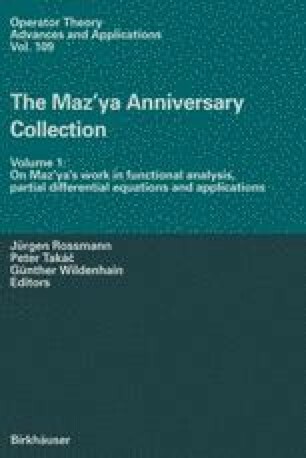 The objective of this paper is to give a review of contributions of Maz’ya and his colleagues to the development and justification of the method of compound asymptotic expansions. This work created a broad and powerful asymptotic theory, which opened new perspectives in the study of fields in singularly perturbed domains.